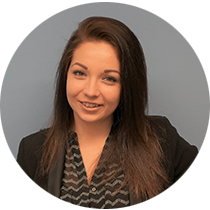 Emilia has worked in Executive Search since 2017 and has former experience of organizational and customer service functions. The focus of her Business Administration studies was placed on Strategic Management. In March 2019 Emilia joined Taplow Finland. Today she works as a Consultant for Taplow Group’s Finnish offices. She's responsible for Executive Search along with Research Services and works in close co-operation with her colleagues in both domestic and international C-level and Middle Management Executive Search assignments.